A NEW cot at Proserpine Hospital will allow parents of stillborn babies a chance to spend precious time with their little ones after they are born. A CuddleCot was donated to the hospital on Wednesday by Wollongong couple Ashleigh Charlesworth and Geordi Penrose. The cot cools the baby's body, helping to keep their condition and maintain normality in appearance. Proserpine Hospital maternity unit manager Donna Martin said the CuddleCot gave parents of stillborns the chance to spend time with their baby. That extra time a CuddleCot allows parents with their child is something close to Ms Charlesworth and Mr Penrose's hearts. The couple's first child, Parker, was stillborn 12 weeks ago. Thankfully for them, the hospital in Wollongong had a CuddleCot, and now they are on a mission to make sure other hospitals also have them. "We got to spend four days with him (Parker)," Ms Charlesworth said. "It allowed time to bond with him as a family. "We got to take photos and watch movies with him as a family. "Without it, we would have had to go straight home. "I could not imagine having to go home straight away." In their case, it also meant their parents, aunts, uncles, and siblings were also able to have cuddles with Parker after he was born. Ms Charlesworth and Mr Penrose started raising money two weeks ago for CuddleCots through non-profit charity organisation Bears of Hope. 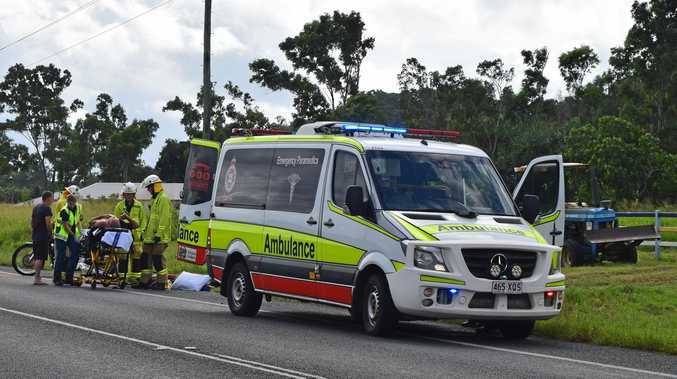 In that time, they managed to raise the $6000 needed to purchase the Proserpine CuddleCot and are well on their way to raising money for a second one for another Queensland hospital. While they live in NSW, Ms Charlesworth said she was happy to help Queensland hospitals as they had the greatest need for Cuddlecots. "Every hospital should have one. I think it's imperative," Ms Charlesworth said. 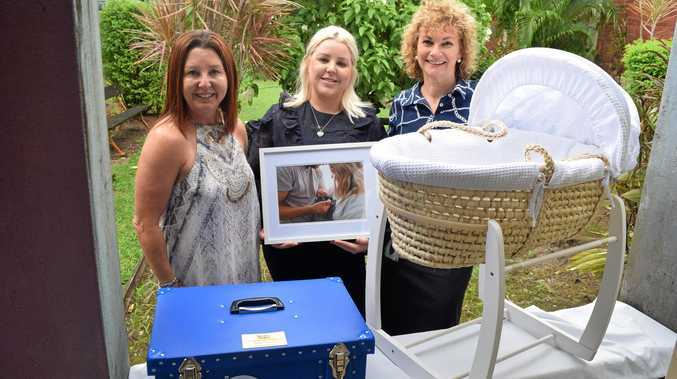 She and her mother Tiarne Ayres visited Proserpine this week to donate the CuddleCot, which will mean that the Proserpine Hospital will no longer have to borrow one from Mackay when they need it. Mrs Martin was pleased with the donation and said it would help local families. "I think it's very very generous," she said. "It helps with the initial grieving. It allows them to be parents." Last year, Proserpine Hospital had to borrow a CuddleCot three times from Mackay. Other years, it is not needed. "Hopefully we don't have to use it. But there's benefits to having it here," Mrs Martin said. She praised Ms Charlesworth for having fundraised so much money in the short time since losing her own baby. "I think she's an amazing young woman," he said. "She's to be commended for being able to do this so soon after her loss."